Frugi are a real Cornish success story – from humble beginnings they are now recognised around the world for their exceptional organic clothing; from new-born babies to girls and boys up to 10 years and women’s breastfeeding wear for mums. It’s almost impossible to open a celebrity magazine without seeing babies and children adorned in Frugi clothing. The company is still based in Cornwall (Helston to be precise) and has an ethical and environmental ethos at the core of what they do. 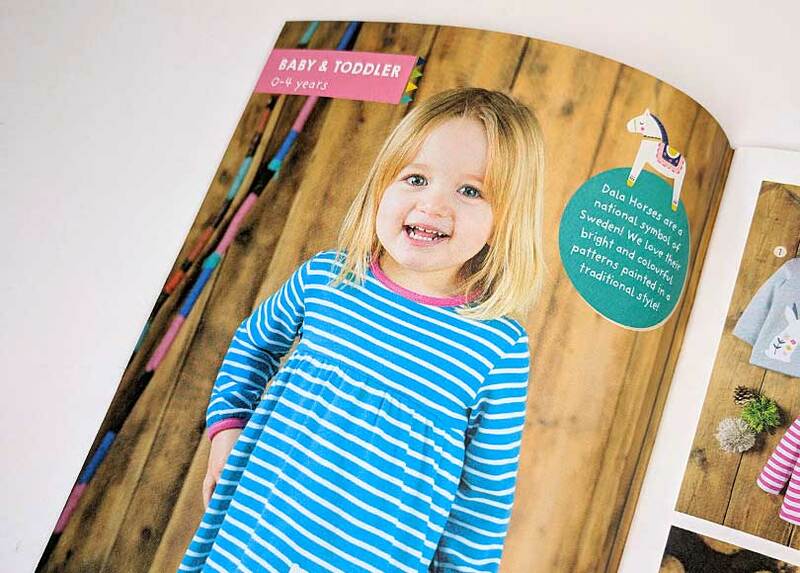 St Austell Printing Company were asked to print, finish and mail their latest catalogue to tens of thousands of Frugi’s customers across the UK and EU. 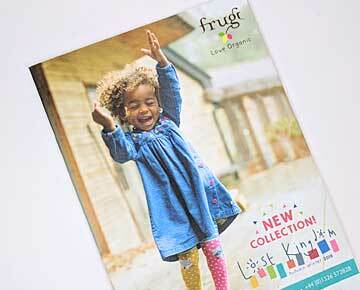 The catalogue was designed by Frugi’s in-house design team. Ensuring colours remain vibrant on uncoated stock. Organising mailing for tens of thousands of copies, each with individual address details. The Frugi brand is vibrant and full of colour, so it was important that this print showed off their design and branding. This was the perfect job for our Ryobi press and it’s instant-drying LED-UV technology. Traditionally, uncoated stocks and vibrant colours don’t always work well together as ink is more susceptible to soaking into the stock – dulling colours. With this new technology, the ink is dried before it even has a chance to soak in. 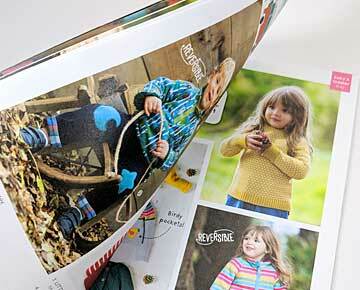 This enabled us to produce eye-catching vibrant print. The names and addresses were securely transferred to SAPC using our new GDPR-compliant encrypted data transfer system. Our fulfilment department then tabbed each copy on the fore-edge before the mailing team overprinted all the name and address details on each copy. We then dealt directly with Royal Mail for the UK delivery, performing a mailsort to ensure the most economical postage costs.